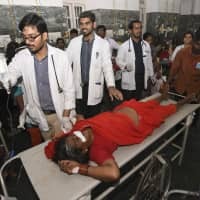 NEW DELHI - A toxic pesticide that a U.N. agency wanted India to ban a decade ago contaminated food that killed at least 15 people at a temple last week, police said on Tuesday. 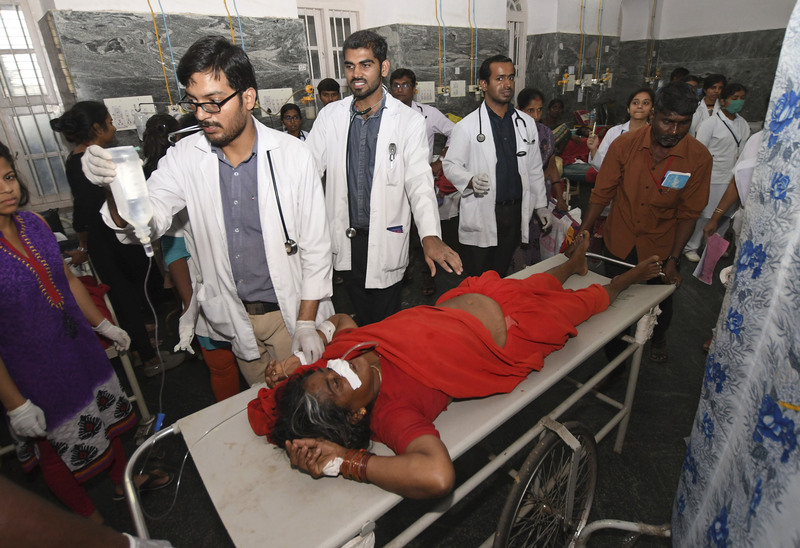 More than 100 also had to go to hospital after devotees consumed portions of tomato rice blessed at the Hindu temple in the southern Indian state of Karnataka. A senior police officer told Reuters laboratory tests showed the presence of monocrotophos — a pesticide that attacks the nerves — in food and vomit samples. “We are trying to find out how the food got contaminated and not ruling out foul play. We have detained a few people and are enquiring further,” said Chamrajnagar district police superintendent Dharmender Kumar Meena, without specifying the number of arrests. According to the World Health Organisation (WHO), swallowing just 120 milligrams of monocrotophos — the weight of about five grains of rice — can be fatal. In a 2009 report, the U.N. health agency urged India to ban the pesticide, as the United States, European Union and various other Asian nations have done. Its import is now illegal in at least 46 countries. But India plans to continue allowing its use in nonvegetable crops because it is effective and cheaper than alternatives, said a senior government official. Monocrotophos costs only about 50 rupees (70 U.S. cents) a kilogram, while a similar patented alternative would cost as much as 20,000 rupees, said Pranjib Kumar Chakrabarty, assistant director general of the state-run Indian Council of Agricultural Research.